'Your new Progressive Conservative government will restore Manitobans' trust and return integrity to their government.' This from the Manitoba PC election platform, how they convinced Manitobans to vote for them. The Pallister government has already broken this trust by choosing to let Manitoba Hydro's own board review Manitoba Hydro's massive Bipole III transmission line, not the Public Utilities Board as promised by the Progressive Conservatives. 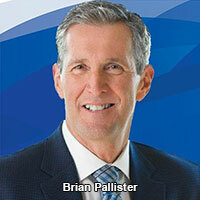 The PUB review of Bipole III was one of the promises Pallister made in their "first 100 days of change for a better Manitoba," campaign in the recent provincial election. As Manitoba Hydro reports it, the $4.5 billion dollar Bipole III is nearly half complete. Manitoba Hydro says it is needed to add security and reliability to power transmission in the province and to increase capacity from northern hydro dams. This mantra of needing Bipole III for security is not entirely true as investing the same amount of money in renewables like solar and wind would support a far safer de-centralised power grid. A de-centralised power grid would be almost immune to ice storms and climate events, and renewables are the best way a Manitoba government can keep its promise to First Nations and rate payers for a strong energy economy and long term jobs. Not having a PUB review of Bipole III also keeps the decision making process in the hands of Manitoba Hydro and cuts out any public participation in such an important review. The Manitoba Clean Environment Commission held hearings to review Bipole III. The environmental license for Bipole III is more extensive than for any other transmission project in the province. Bipole III was left out of the PUB review.